When your child is sick, his/her performance in speech therapy is not optimal, and in turn, is less beneficial. Therefore, if your child has a fever over 99 degrees, has a thick, yellow/green nasal discharge, or has vomited or had diarrhea within the past 24 hours, please call-in to our 24-hr answering machine and cancel your child’s therapy session. If other arrangements have been made, then text or e-mail your SLP as discussed. Because we work so closely to your child’s mouth, our concern is not only your child’s health, but also maintaining the health of our staff. We need to be sensitive to the other families in the waiting room as well. Thank you for adhering to this sick policy. 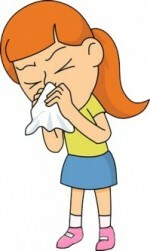 If your child is sent home from school sick, please contact us immediately. Do NOT send you child to speech. You will not be charged as long as you contact us immediately about your need to cancel your child’s speech session for that day.